Today we are discussing about the Google Search Lite, the latest feature brought to you by Google Inc.
Google.com is basically a search engine, Android, cloud computing, and various other software. Most of its profits are derived from AdWords, which is basically online advertising service. What is Google Search Lite? 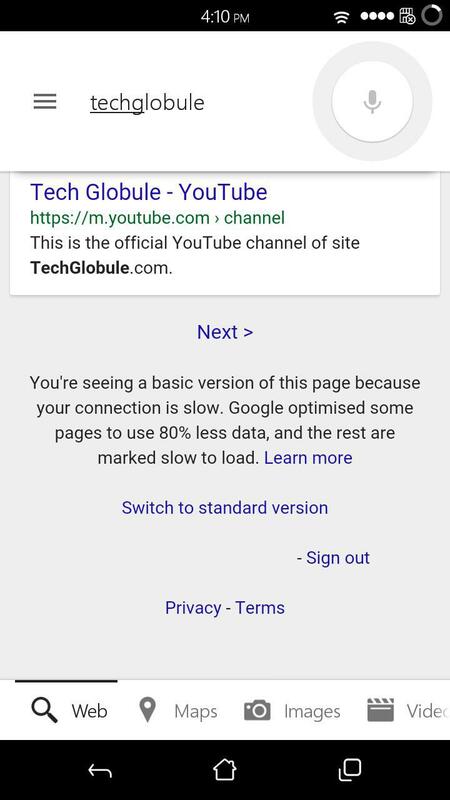 Google recently announced that they will be launching a new faster interface known as “Search Lite” especially optimized for slower mobile internet connections. It is made to work in the low network coverage areas across the developing countries and will be launched in parts of Brazil and India by the end of June 2015. Google has already tested the feature in Indonesia, which has networks very similar to India. What’s the need? How is it different from traditional Search? Companies like Facebook and Google have been focusing on India which is expected to have an internet user base of 550 million by 2018. This is the next step of Google to increase its foothold in the Indian Markets after “Android One“, under which it partnered with 3 Indian Handset Makers (Micromax, Karbonn, & Spice) to make affordable Android smartphones available for a larger number of people. This feature will transcode pages for quicker delivery whenever it will detect a slow connection. Google claims that the new feature will load pages 4x faster and at the same time will consume 80% lesser data. Google stated that publishers will also benefit from this, as they will see a 50% more page views. “Monetisation won’t be affected for publishers. There is an opt-out option for the users as well as publishers,” he said. “The feature is good for publishers as it will extend their reach,” he added. Read Google’s views on Google Search Lite on Google Plus. Hiroto Tokusei, Product Manager, Google Inc, stated, “The new feature will come into play whenever a mobile user (will) be access search results from a very slow network. Google will capture the page and make it lighter.” He said, “With over 200 million Indians accessing the Internet from a smart phone, we’re working hard to make access faster and more affordable,” He added in India, where 2G network connections are very slow, getting information on phone can be tough, and frustrating. The service will be available to users browsing on Chrome and other Android browsers from Google search results. “Some stylesheets… having high image quality take more data on a slow network. These are compressed using the new (Search Lite) feature, and sometimes the page looks slightly different,” said Tokusei. Although the users will have the option to view the original Web-page, but they would not be able to intentionally switch to Search Lite feature. Google has not specified how ‘slow’ network will be considered slow enough for Search Lite to kick in automatically. So users don’t really have an option to switch back and forth in Google Search and Search Lite. This might led to some criticism. According to me, the feature is very good as we have nothing to download or update, the feature will automatically switch on or off according to our network speed. This is something I expected from Facebook Lite; but was disappointed. Sorry Guys, I couldn’t manage any Screenshots because this feature isn’t rolled in India yet. Also I think there is not much visual difference in Google Search and Search Lite. The difference lies in speed only. Image source – commons.wikimedia.org, pinterest.com, and Swapnil’s Yuphoria.